The construction of the European Community (EC) has widely been understood as the product of either economic self-interest or dissatisfaction with the nation-state system. 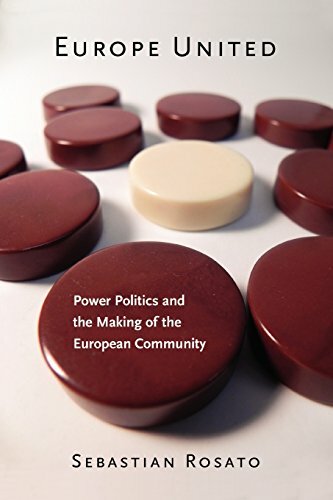 In Europe United, Sebastian Rosato challenges these conventional explanations, arguing that the Community came into being because of balance of power concerns. France and the Federal Republic of Germanyâthe two key protagonists in the storyâestablished the EC at the height of the cold war as a means to balance against the Soviet Union and one another. More generally, Rosato argues that international institutions, whether military or economic, largely reflect the balance of power. In his view, states establish institutions in order to maintain or increase their share of world power, and the shape of those institutions reflects the wishes of their most powerful members. Rosato applies this balance of power theory of cooperation to several other cooperative ventures since 1789, including various alliances and trade pacts, the unifications of Italy and Germany, and the founding of the United States. Rosato concludes by arguing that the demise of the Soviet Union has deprived the EC of its fundamental purpose. As a result, further moves toward political and military integration are improbable, and the economic community is likely to unravel to the point where it becomes a shadow of its former self. About: The construction of the European Community (EC) has widely been understood as the product of either economic self-interest or dissatisfaction with the nation-state system.